The typical Friday routine begins by putting finishing touches on the grounds and finalizing last minute details in the office. Afternoons, our team gathers to pray and ask for God to work in the lives of our guests. While those regular parts of our Friday around the office will be missing, this week we will be taking time instead to remember Good Friday. Miracle Camp is a place where lives are changed. For over fifty years, FEC churches and countless guest groups have encountered the tangible grace of God spending time having fun here. Good Friday reminds us that the fun and joy we share at camp is not without cost. The cost for Jesus was real to reconcile us to Himself and remembering the goodness of this day reminds us that we are dead to sin and alive in Christ. The real catalyst for us to know faith in Jesus as Lord is the atoning sacrifice freely offered at the cross. (1) The Apostle Paul writes that He who knew no sin became sin so that in him we might become the righteousness of God. (2) This infusion of life offered to us in Christ was the world changing event by which everyone who truly knows God has access to Him. 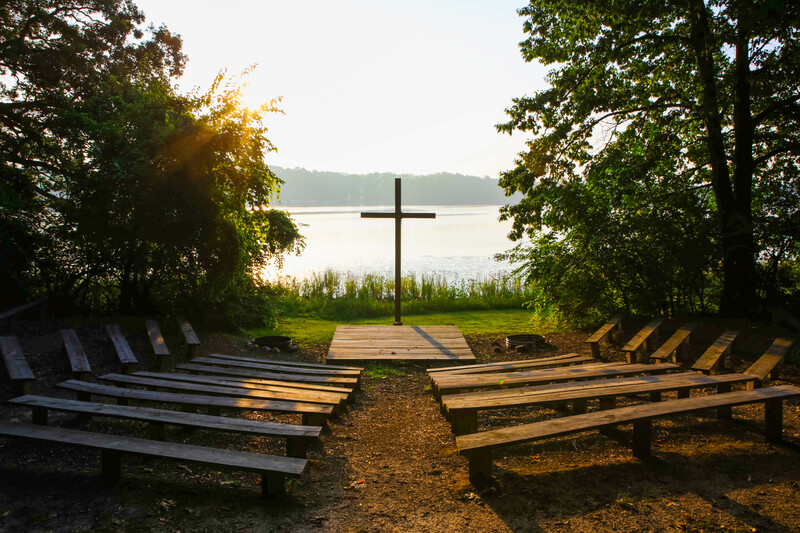 While all of our guests are at home with their families and churches during Holy Week we want to remind them on Good Friday–without the events of this remembered day, our campground would be empty every weekend. But because the tomb is empty, we have life and love to share in Christ. The Miracle Camp Staff want every bed made, every building built and each event we program to be fueled by the atoning work of Jesus on the cross. On Good Friday let our team commend to you what we tell ourselves constantly: Jesus did it all. Our role is to facilitate His work, by his grace, for his glory. Today we join our FEC partner churches and congregations everywhere to remember the weekend Jesus died, was buried and rose from the grave. 1. Catalyst is a word meaning rapid change or action from within. We use it on the MCRC team to describe how we partner with God’s work among our campers. Miracle Camp & Retreat Center’s Internship Program is designed to serve exiting high school and college students who are launching into years of obtaining skills for work or considering educational options. Rather than staying caught in the middle between what is now and “what’s next”, this internship exists to step in and help prepare participants for a lifetime of fruitful vocation while they work alongside the MCRC team serving groups, churches, and individuals through multiple avenues. We are excited to introduce two new interns who will be joining the Miracle Camp team this May! Preston Alger is originally from Flint, MI and first heard of Miracle Camp through his local church’s connection. He experienced Miracle Camp during an Ice Camp with his youth group, and he eventually applied to the Camp Aide program. Through this, he spent two weeks growing deeper in his faith and learning more about himself and God. Following this experience, he decided to join camp’s part-time staff serving in the kitchen. “Working in the kitchen, I had the pleasure to work with the interns and learn more about the program,” which is what led him to apply. Additionally, he was not sure of his plans after high school, so he decided to take this gap year opportunity. Preston is looking forward to discovering more about how Miracle Camp runs and how he can serve, especially as he works with digital design. “I also cannot wait to just learn about God with the intern devotionals we will be doing,” he adds. He loves anything involving the outdoors, such as swimming, hunting, skateboarding, and enjoys building things. He also enjoys playing soccer and is an avid disc golfer. Gavin has really enjoyed his involvement with Bible quizzing the last two years. Also, he has been on the Varsity Bowling season team for four years and was the Captain his senior year. We would love for you to pray for these guys as they prepare for their time here and seek all God has in store for them during their internships. To find out more about our internship program, click the button below! Here at Miracle Camp we are dedicated to being a learning-based Youth Service Organization that responds to and implements technology in appropriate ways, while also sharing what we learn with parents desiring to train a godly generation in a media saturated culture. Serving thousands of students each year, the Miracle Camp ministry team sees the need for balance and even boundaries that will protect and influence the next generation of Christ followers. In this three part blog series we hope to provide rationale behind implementing our device free policy for Summer Camps in 2019. When considering the place of technology in everyday life, there is a dichotomy between “the real world” and “the virtual world.” However, in the age of smartphones, social media, and a dependence on electronics, “we’re no longer in a time when we should be viewing digital communications as not being the “real world.” Electronics have infiltrated nearly every part of life. Rather than trying to separate their influence, which would be nearly impossible, they need to be regulated. With this thought process, we believe that a device-free Summer Camp can deepen the awareness of the technology addiction and give insight to managing it a healthy way. We are asking for campers to leave their devices at home for the week they attend Summer Camp. Our goal is to stimulate healthy conversations regarding technology use and motivate kids to change, resulting in impacting others in terms of phone use. While this is a big picture thought, there are many other benefits of no phones. In a study reported by the CCCA of camps who implemented a no-device policy, 80% of kids were less stressed and anxious without the expectation to keep up with social media. 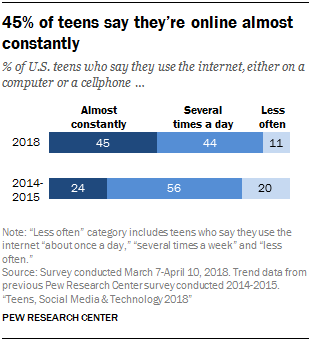 Kids were astonished at how well they connected with others; 92% said they got to know people better because they did not have their phones. 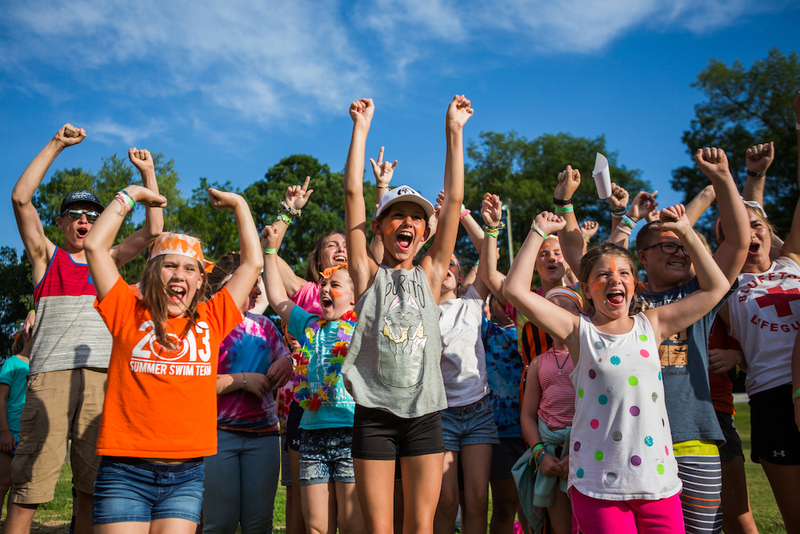 A device free week allows students to be fully present in the camp experience without being torn between Summer Camp and their lives back home. This also leads to less drama, bullying, and gossip that comes through social media. Cabin leaders will be trained to facilitate discussions and strategically encourage campers to reflect on their screen use habits during cabin devotion time, natural conversations during activities, and waiting for meals or games to start. While the device policy is changing, it will not negatively affect parent-child connectivity. Parent e-mails can still be sent through our website and will be delivered to campers each night at dinner. Homesickness calls to home are always available as well and dealt with through the camp nurse. 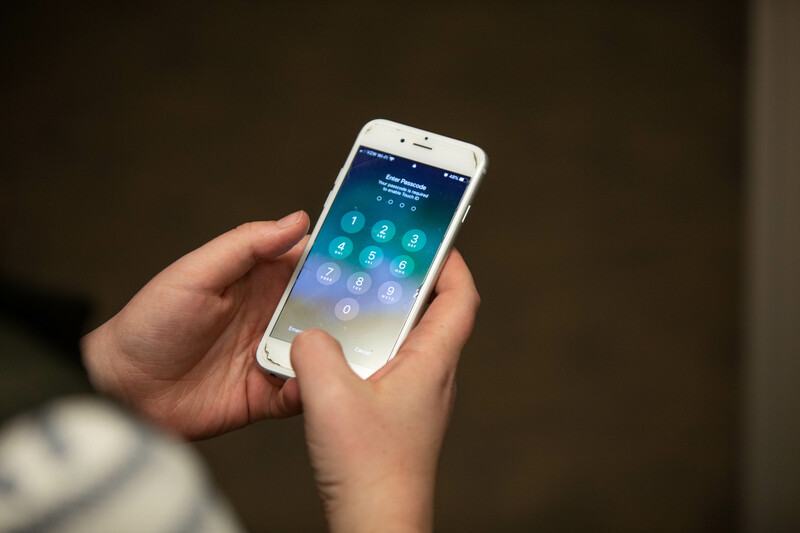 Non-emergency calls can be made on a case-by-case basis—campers simply need to talk to their cabin leader to set up a time to use the office phone. In every case though, we hope that campers enjoy their week so much that calls home are hardly necessary. As always, parents can stay connected through viewing the daily photos (uploaded by 5:00pm the following day). This way, parents can see the fun their kids are having, and campers will be able to look back on their memories when they get home. Campers cannot bring digital devices to camp. This includes cell phones, tablets, handheld video games, smart watches, mp3 players, laptops, drones. If a camper brings a device, Miracle Camp will send it home with parents or retain possession of the device until the camper’s departure. We want campers to know what it feels like to be device free. Eliminating devices eliminates the distractions and allows them to fully experience camp, make new friends, and most importantly grow deeper in their relationship with Jesus. After camp and looking to the future, they can make an informed choice as to how and when they utilize phones, social media, and more. If you have any questions regarding the new policy, feel free to contact us at info@miraclecamp.com! Hunter, G. (2018, August/September). Make it work for you. InSite Magazine, 3. 22(4). At Miracle Camp, the following scenario is not an uncommon one. A 7th grader steps off the church bus, taking in the sights around her: Summer Staff cheering, kids finding their cabins, and plan-scheming to get in all the best activities. Though a busy excitement fills the air, she can’t help but sense a loneliness. Instinctively she reaches to her jeans pocket, only to find the void is deeper than the space where her phone used to be; it comes from the disconnect from her world of “followers,” “likes,” and messages. She wonders how she is supposed to have “the best week of her life” at camp if she doesn’t have a way to “talk” to anyone. This situation is not too different from what adults experience when accidentally leaving their phones at home when they go to the store or attend an event. Constant connectivity inevitably changes us, often in unseen ways. If not used properly, it leads to an addiction resulting in underlying consequences that are taking a toll on kids physically, socially, mentally, and more. Technology is consuming cognitive capacity, therefore leaving huge gaps in the realm of development. Kids are not getting enough sleep or exercise and end up snacking more than necessary. Their ability to interact with others socially is declining as they depend more on the virtual world for relationships while neglecting their family and friends in front of them. This can lead to feelings of isolation. According to CCCA, 69% of kids recognize that in-person interactions are more gratifying and wish they could spend more time socializing with friends face-to-face rather than online. With technology infiltrating nearly every aspect of life, it has created tremendous pressure on students. 41% of kids are overwhelmed by the notifications they receive online, and 58% feel they are expected to respond instantly. The way it is marketed, kids are not able to say “no.” It is difficult to manage an addiction in the first place, but it is an entirely different battle when the addiction is something that kids want a break from, but is constantly in our faces thanks to marketing, media, and more. This requires an extra level of intentionality, for students, parents, and institutions like summer camps. Setting limits on technology is not limiting us, like many view it, but rather freeing us from the grip of technology’s addiction. Monitoring screen time both for yourself and your kids is a way to gain balance in technology usage. Choose to participate in other screen-free activities, such as reading a book, taking a walk, playing a board game, etc. Taking televisions, computers, and phones out of your children’s rooms at night helps them improve their focus and attention spans, as well as help them relax for a good night’s sleep. As part of the initiative to gain control over the technology addiction and to ensure the best week for kids, we have created a device free policy for Summer Camp 2019. Next week will wrap up our technology blog series with more about practically implementing the new policy and how it will benefit campers in a multitude of ways. Both are examples of how our tech offers us constant connectedness today. With voice command assistants at the ready as instant fact-checkers at our command or the temptation to snap a selfie and share a moment with friends far and wide, today’s campers, known as digital natives, thrive on Instagram likes or taking enviable snaps as everyday life activities. The PC, tablet, and smartphone adoption rate in the last decade have topped out and now are giving way to even newer generations of wearable technology and smart devices. Intended to make life easier, technology manages tasks faster, more efficient, while simultaneously offering a new realm of creativity. While these optimizations may add simplicity to our lives, we also seem constantly distracted by them, if even dependent at times. Being connected is a powerful tool we must help our students steward well. Technology provides a path that allows people to channel their human drives, such as connecting with others, portraying social status, competing and achieving objectives, learning and acquiring knowledge, and more. It is also highly customizable, engaging individuals through unique and personal interests (CCCA). Morally neutral, technology gives humans an entire world at the tips of our fingers, offering us an infinite capacity to use it for good or allowing it to expose the darkness of the heart. In today’s world, “from the moment we get out of bed until we crash at night, life feels like a buzz of attention-grabbing technology and busyness.” (1) As technology has infiltrated nearly every aspect of society, dependency has given way to indulgence. We work for Summer Camp to be an intentional time away from what is familiar for a student to own their faith in Jesus; often times the constant presence of devices gets in the way. We want to help students find a balance of technology in life, using it as a tool for God’s glory, while living free from the grip of its constant allure. Without the constant buzz in pockets, even just for one week, this freedom allows students to focus on spiritual formation, relationship building, and being fully present in the life right in front of them. While screen time boundaries are nothing new to savvy parents, we find value in the practice of a regular detox that reinforces healthy boundaries and rhythms. For the first time this summer, we are asking parents to help create a safe and undistracted environment by leaving devices at home. Having a conversation about why this policy is important with your students may help them prepare for any anxieties related to detaching from devices. Check back next week for the second installment of our tech series as we share more of the thought process behind making summer camp the best week ever! Spring is coming, which means it is almost time for the start of Women’s Retreat! Our Women’s Retreat 2 is already full, but a few more openings are available for Women’s Retreat 1, April 26th – 28th. Space is filling up quickly, so be sure to register today! If you are unable to make these dates work or missed your chance to register this spring, we are excited to announce that we are featuring a third Women’s Retreat this fall. Mark your calendar for Women’s Retreat 3, September 27th – 29th. Click the button below to find out more information and register today! 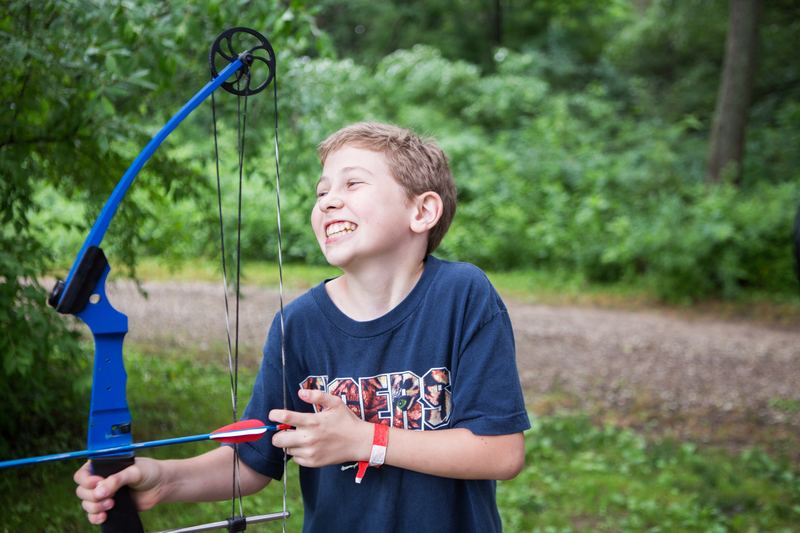 Want to experience Summer Camp as more than just a camper? Our two-week Camp Aide discipleship program is for students going into 10th – 12th grades. This opportunity gives students a chance to work with kids, serve around camp, and grow in their relationship with God. As a Camp Aide, you will not only have a blast for two weeks of Summer Camp, but you will gain leadership experience as you interact with kids and shadow Cabin Leaders. Also, you will work with a team of other Camp Aides, completing projects and serving where needed around camp. Most importantly, you will grow spiritually through biblical teaching, small group time, praise and worship, and personal devotions. A highlight of the summer for sophomore Jayton Alger “was the bonding time with fellow camp aides and the cabin leaders.” She says she grew in her views of worship and enjoyed the worship nights with the assistant cabin leaders. Do you want to be a Camp Aide this coming summer? Applications are due March 15th, so be sure to get yours in! 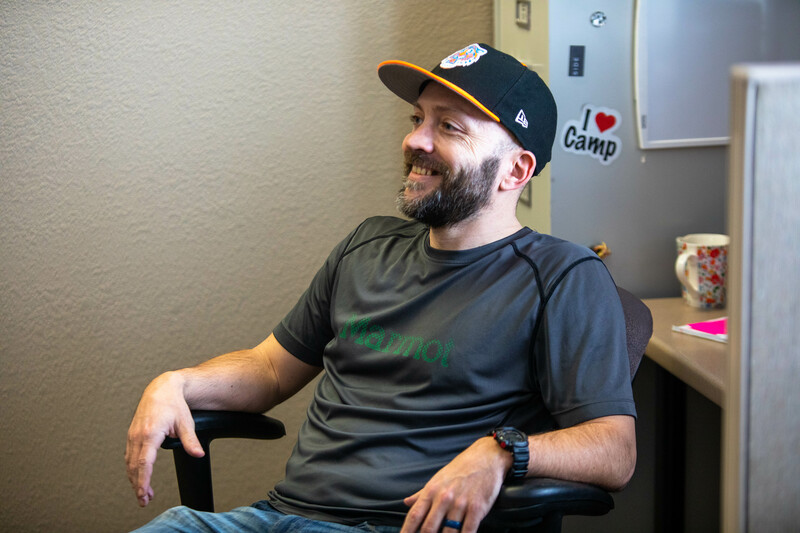 Camp ministry has always intrigued Doug because he describes himself as “a ministry nerd.” You may have seen him around camp where he is often working behind-the-scenes. Doug is the Ministry Lead at Miracle Camp, a position involving many aspects. 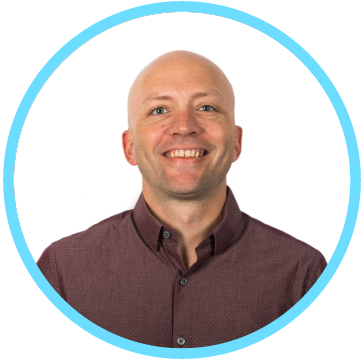 With a main objective of ensuring the health and sustainability of the staff that lives and works year-round, he ministers to the staff while working with the Experience Team in responsibility for the guest experience. When Miracle Camp created the new Ministry Lead position, this seemed like a job right down his alley. He was already familiar with the camp as a guest and FEC pastor, and he knew of Miracle Camp’s reputation of quality and hospitality to guests. As another facet of his role, Doug is building the intern program – recruiting, training, and equipping the interns to prepare them for the direction God has for them. The purpose of the internship is to give students who aspire to do ministry a year to set a course for their life’s work. Most of the training experienced in college or the field is useful and specific. Many times, students need time to practice, get feedback, learn some basic 21st century life skills and set a course for work and ministry that will sustain them for the long term, which is where the internship comes in. This means discovering gifts and developing a life plan, but it also involves practical aspects like budgeting and calendaring. In a sense, the internship philosophy is to learn by doing, which means plenty of opportunities for growth, feedback, and discovery. 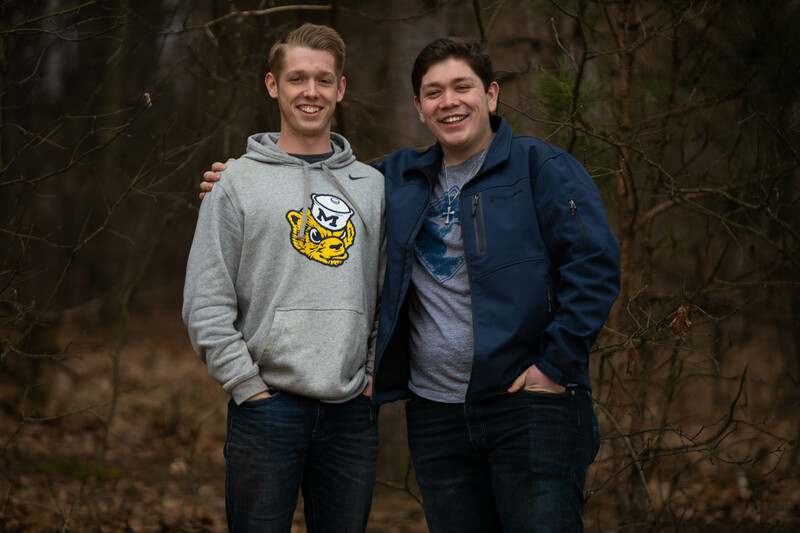 Doug acknowledges that camping ministry is extremely broad, so “we have a huge ministry sandbox to play in here,” offering students who are pursuing vocational ministry the chance to develop their gifts and translate those into a role with experience under their belts. Gaining confidence planning events, working behind the scenes, and working with our wide range of guests here is the perfect environment to learn and grow. In turn, Miracle Camp hopes to be a resource to local churches and ministries who are looking for qualified interns ready to transition into positions of leadership. The MCRC Summer Camp Staff Alumni include more church leaders across the Midwest than we can keep track of—our Executive Director being one of the many. Our internship, similarly, has a lineage of people who are in cross-cultural missions, local church leadership and para-church ministries. We want to see God grow leaders through our ministry pipeline here at Miracle Camp, and building the internship is a huge part of that happening. Each of the intern roles involve some common opportunities such as emceeing an event, coordinating the young adult weekend, taking out trash, cutting grass, snow removal, cleaning, organizing, and completing administrative tasks. Additionally, each internship has an area of focus where they will spend their time working within one of the three teams on the Miracle Camp staff. Do you or does someone you know have a desire to gain experience in camping ministry? Check out the positions below to see if one of these areas may be a good fit for you! Check back to our website in mid-late March for more information about the intern program! Doug Shell is a former summer camp prankster like any good church kid. God called him to ministry in high school and he proceeded to spend a decade attending three Bible colleges, earning one degree and a lot of stories to tell as a result. Some of the more fun ones involve being on a team that started a coffee shop and planted a church. He and his wife Melissa have three boys and their family moved to Michigan about a year ago from their hometown of Cincinnati. They both came to Miracle Camp with a desire to learn about culinary arts, hope for direction for their next steps, and with the same name. While they share these qualities, Katie and Kaity ended up here in unique ways, each bringing their own strengths and abilities to the team. 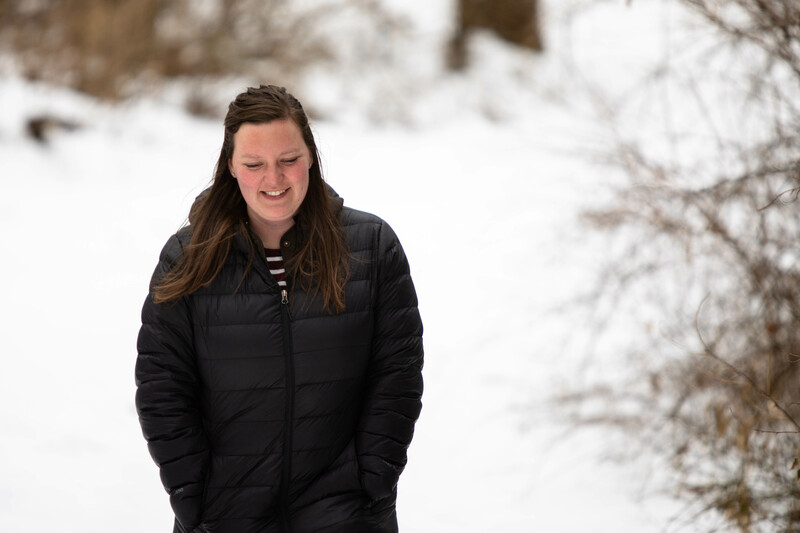 Although Katie Rice is from Idaho, Miracle Camp was a large part of her history because her family lived in Paw Paw for eight years when her father was the Youth Pastor at Lawton Evangelical Church. Because she came to Miracle Camp for youth group retreats and her family’s close connection to the FEC, her mother discovered the internship from a Facebook post. Kaity Renzema, on the other hand, grew up 20 minutes away from Miracle Camp in Vicksburg, MI. She came to summer camp as a camper in 2009, and some friends told her about the internship opportunity. At the time she applied, she was looking to obtain culinary skills to use in an overseas mission setting. Katie was finishing high school when she knew she wanted to pursue cooking and baking. As she neared her graduation date, she decided to apply for the internship. Besides the draw to the Christian aspect and positive environment of camp, she knew this internship would be a great opportunity to determine if she truly wanted to pursue cooking and baking. Due to Kaity’s interest in culinary arts, she prayed about the Miracle Camp internship opportunity after some prior plans did not transpire. Believing the Lord provided this opening, she applied to gain more of a culinary perspective. She knew she needed basic culinary skills, and especially wanted to discover the behind-the-scenes of cooking for large groups of people. The culinary arts internship has been a beneficial opportunity for these two. 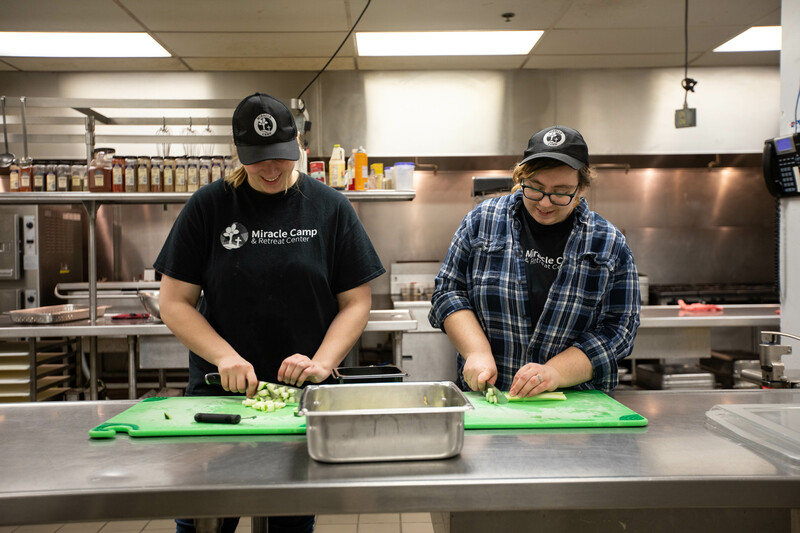 Under the direction of the Dining Services Director, Katie says she “increased her knowledge of culinary arts and learned a lot from Beau.” For example, Kaity mentioned gaining knife skills and realizing its necessity to being in the kitchen. Their main responsibilities included but were not limited to preparing and serving guest meals and learning how to lead meal shifts. 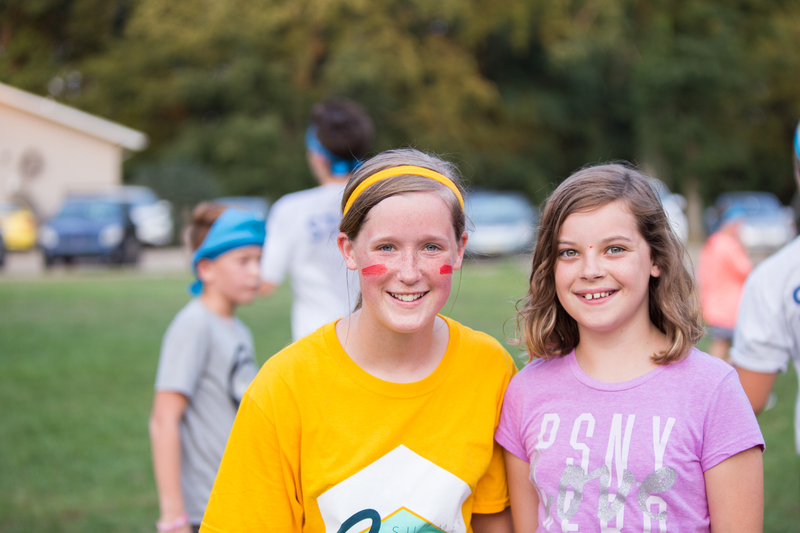 The people at camp play a large role in the internship experience. Guest interaction as well as the staff who are like family have impacted both Katie and Kaity, making the people and the atmosphere of Miracle Camp their favorite parts of the internship. “It’s a joyful and powerful place,” Katie emphasizes. As the end of their internship nears, Katie and Kaity are in the process of applying to other camps. Kaity always knew she wanted to be involved in ministry, but this program helped her discover her excitement for camping ministry. In addition to camp possibilities, Katie hopes to find a position at a bakery. Check back here in mid-late March for more details about our 2019 intern program! 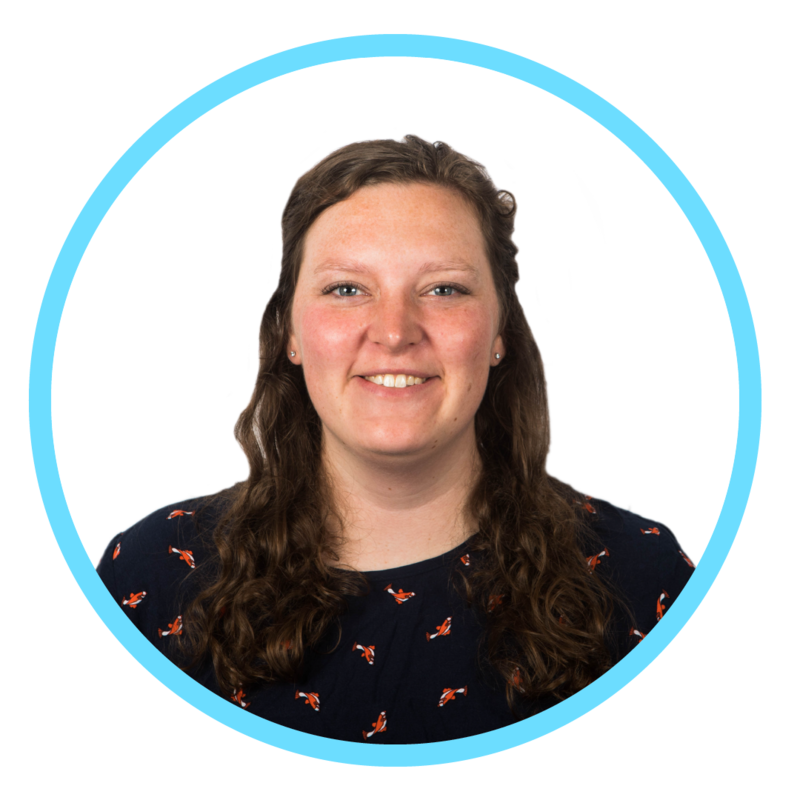 Katie Rice is from Nampa, Idaho, and graduated high school just 17 days before moving to Miracle Camp for the internship program. She plans to pursue other camp opportunities or find a position at a bakery closer to home. Katie finds joy in coloring books, reading, baking, and experimenting with new recipes. Kaity Renzema grew up in Vicksburg, Michigan. Prior to interning, she finished high school and worked in the custodial department at her local library. She plans to pursue other camp ministry opportunities or a job in the area. 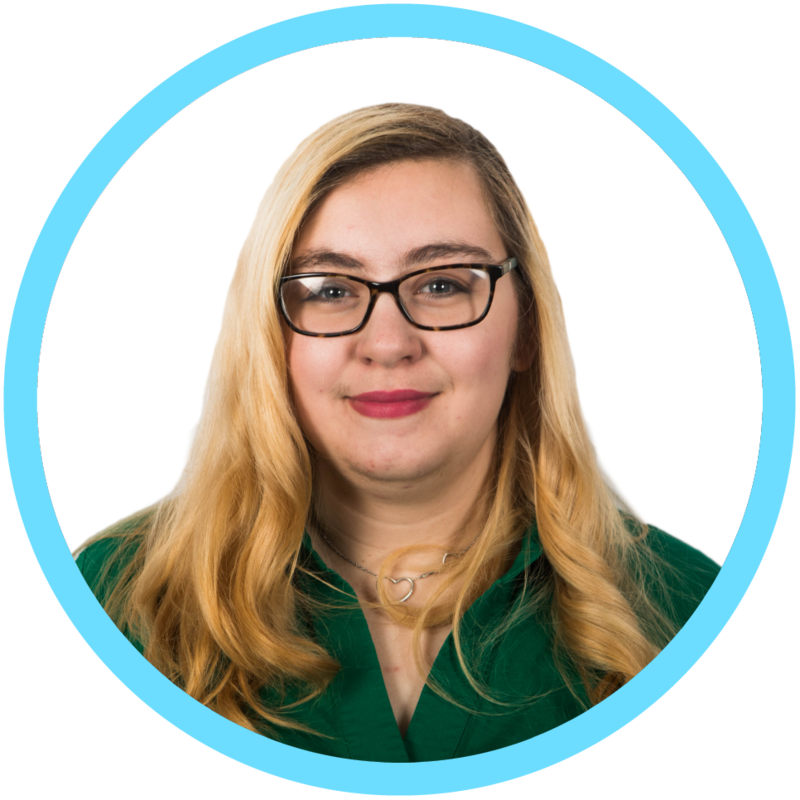 Kaity loves everything involving musical theatre, playing instruments, reading, board games, and knitting. What may have seemed like a delay in plans turned into a perfectly timed adventure. Margaret had eagerly just begun her first summer on Summer Staff in 2017 when three days after arriving to training, she broke her leg. Though she assumed her chance to serve at camp had come to an end, the Lord had different plans. As He continued to place thoughts of camp on her heart, some friends strongly encouraged her to look into the intern program. Margaret’s story is a testament to how God works despite circumstances and uses them in ways even better than we can imagine. Margaret Gruendyke is from Upland, IN, though her family currently lives in Whittier, CA. She graduated in 2017 from Taylor University with degrees in Christian Ministry and Biblical Literature. 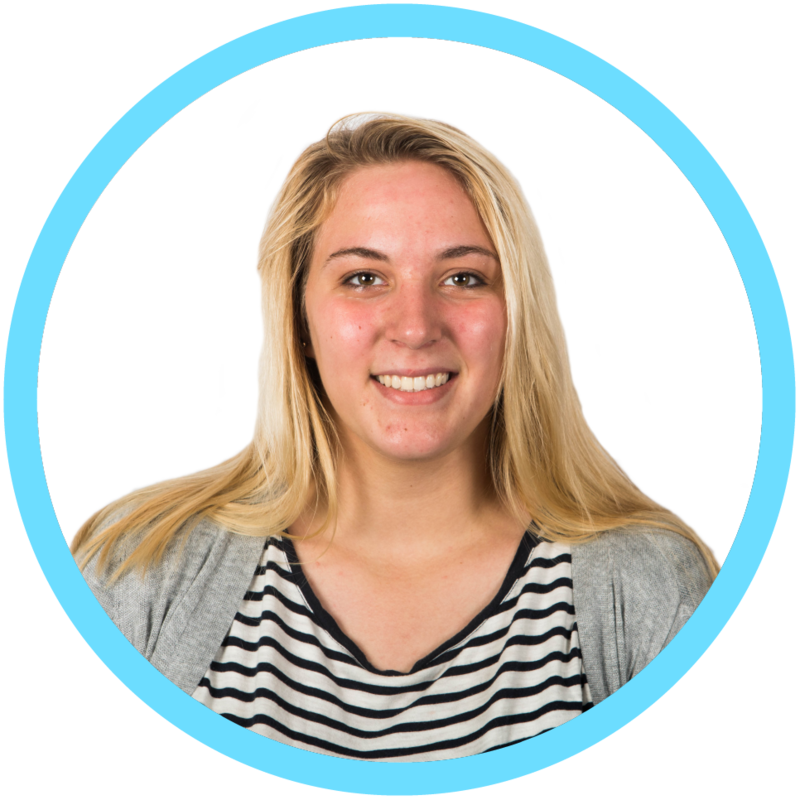 Before beginning the internship program, she worked as the Youth Ministry Associate at Upland Community Church. Margaret plans to complete a second-year internship at Miracle Camp. She is passionate about American History, all things British, books, baseball, and baking.